Back in 1993, the Pollino National Park was established in an attempt to help prevent further deforestation and endangerment of the Bosnian Pine which can now be found throughout the park and is considered a symbol of the park. It is situated at the south of Italy, along the borders with Calabria and Basilicata and stretches far inland to include the Southern Apennines. Most of the region which encompasses the park’s borders is mountainous. There are three main ranges that can be found within the park. The largest peaks within the park are the 2,267 meter tall Serra Dolcedorme, the 2,248 meter tall Mount Pollino, Serra del Prete at 2,181 meters above sea level, Serra delle Ciavole at 2,127 meters as well as Serra di Crispo which stands proudly at 2,053 meters above the sea. Between the rugged mountains within the Pollino National Park, you will find the Argentino as well as the Abatemarco Rivers. There are also several ravines in the area such as the Raganello and the Lao. Any small streams and tributaries can be found throughout the park. 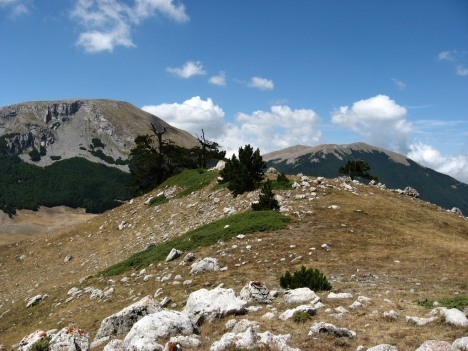 Pollino National Park is a home to many rare plant and animal species which can easily be found in the park. There is the Bosnian Pine, which is a symbol of Pollino National Park, as well as the majestic Golden Eagle and the Roe Deer. While there are a few rare specimens in the park, most of the flora and fauna can be found throughout most of the region in Italy. 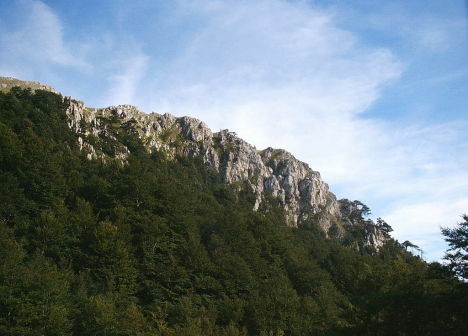 There are many sites of interest in the Pollino National Park. There are several sites of importance to palaeontology that have been discovered over the years and have unearthed many artefacts and treasures from the past. There are also a number of fine archaeological sites which date as far back as the days of the Greek Empire. There are also a number of monasteries, castles and towns spread out throughout the region that are just waiting to be explored. One of the more popular sites in the park is that of the Laino Castello. From the tallest mountain peaks in the southern part of Italy down to the low levels of the Tyrrhenian and Ionian coastlines, there is much diversity within the borders of the park. For millennia, people have inhabited the region where the park stands today and traces of their existence are embedded into every corner of region.